Happy Memorial Day for those in the U.S. I hope everybody is having a great weekend. It is time for me to announce the winner from Wednesday's Game. Congratulations to Teri Sue! Connie will email you a coupon code. I hope everybody will join me again on Wednesday for another game. 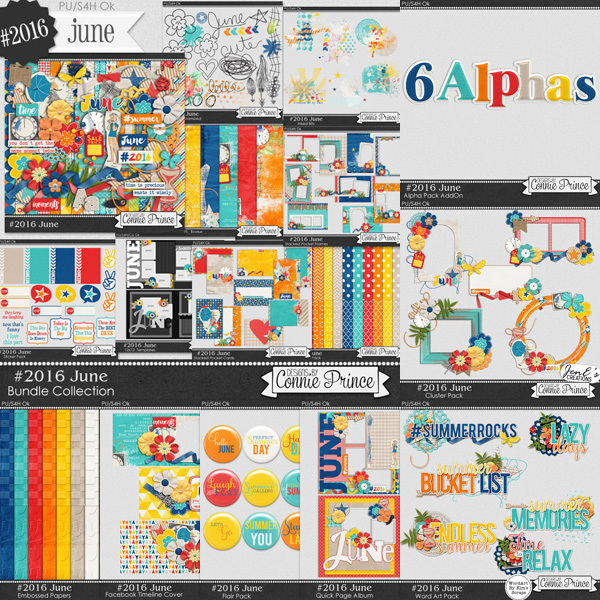 Connie just released the June installment of Project 2016. I love this series. It is such a great way to record each month's special moments. 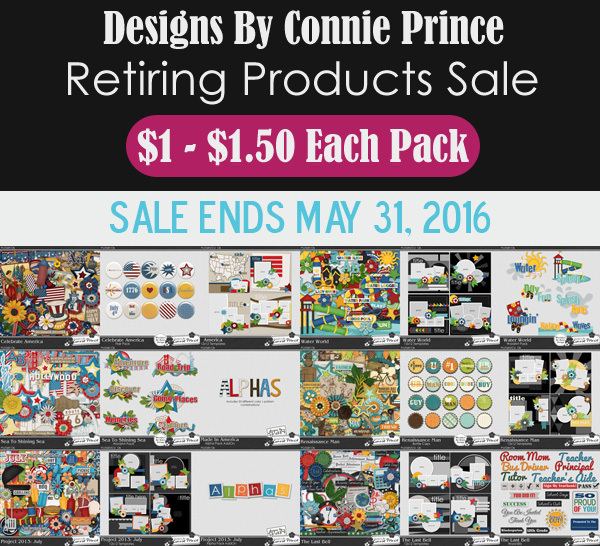 There are only 2 more days to take advantage of the Retiring Product Sale. Each product is $1-$1.50. To get a closer look at what is retiring visit GingerScraps or GottaPixel.